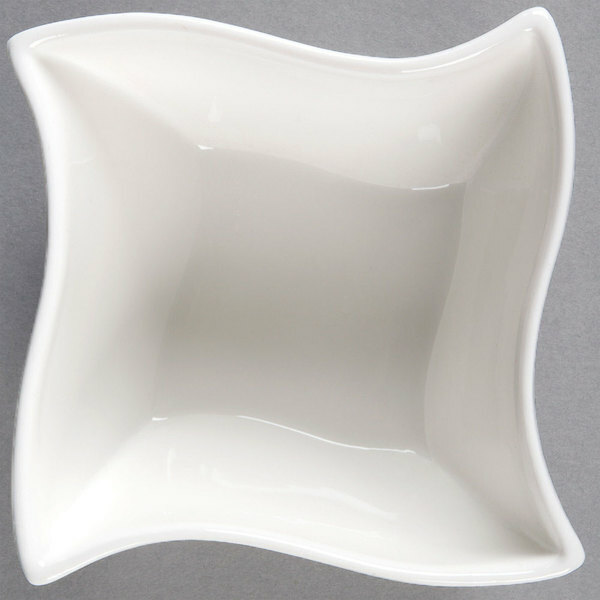 Add a unique, contemporary touch to your dinnerware collection with this American Metalcraft SQVY4 white wave porcelain bowl! This 14.4 oz. 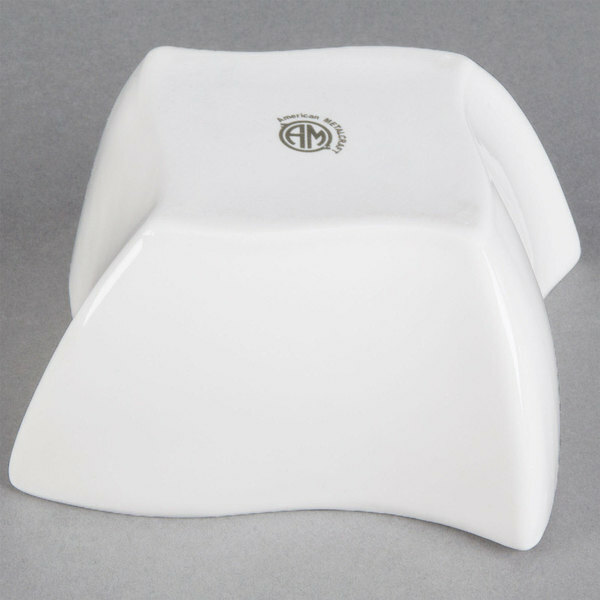 piece features a distinctive "squavy" shape that is sure to be a conversation starter among your guests. 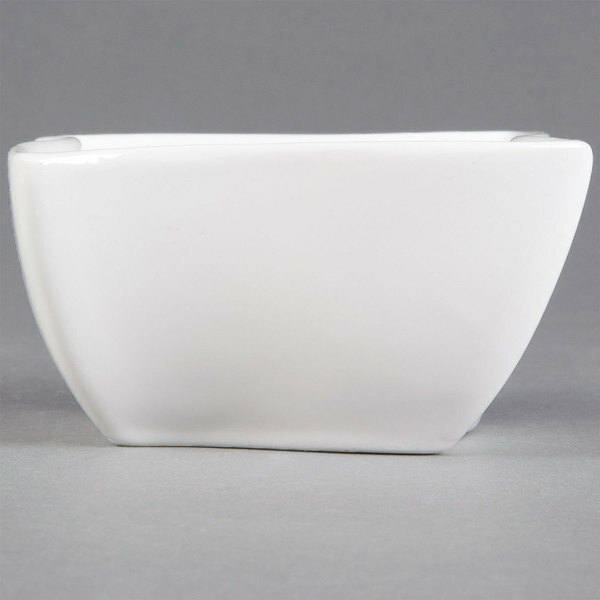 The bowl has a basic four-corner structure typical of a square dish, but its sides are elegantly curved to give the bowl a modern, wavy appearance that complements a wide variety of restaurant decors. 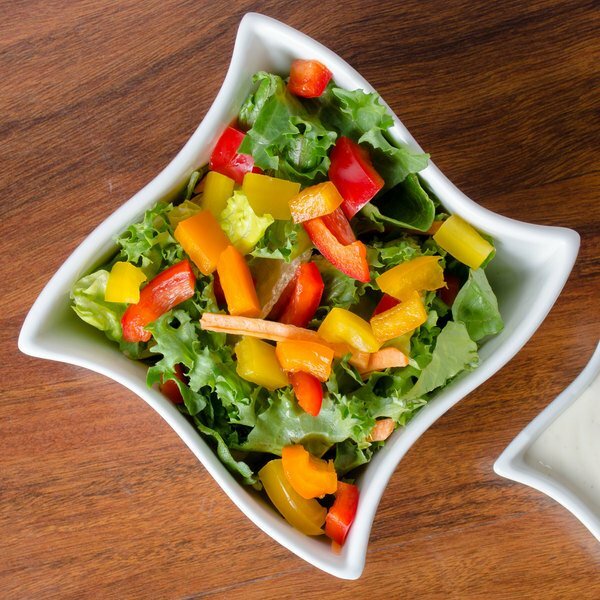 The combination of this unique design and clean white finish transforms the bowl into a canvas for creatively presenting your colorful dishes. This bowl is perfect for serving your signature salads, appetizers, side dishes, or desserts, but can also be used many different ways. 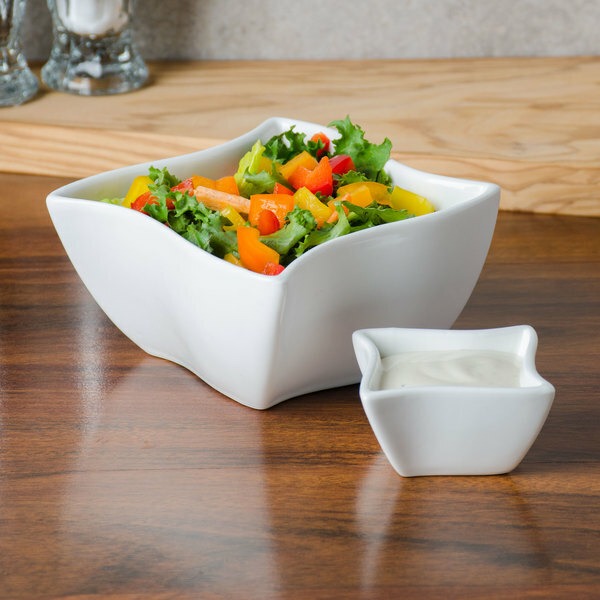 Whether it's used for serving delicious menu items or presenting butter, sauce packets, or dinnerware at a catered event, this bowl will bring out the best of your tabletop displays. Total customer satisfaction isn't just limited to the quality of the food itself, which is why this bowl is ideal for high-end dining facilities looking to create a memorable experience for their guests. 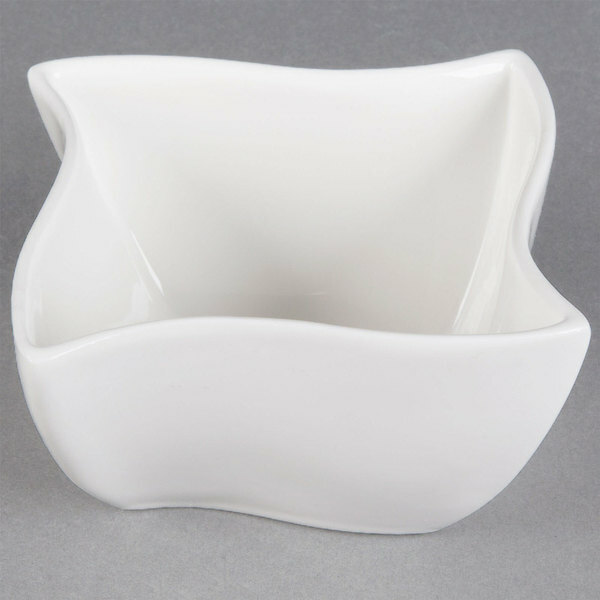 Express your creativity and construct attractive, delightful displays for your menu items with this unique bowl!